Thank you. I’m sitting her crying my eyes out, it’s been a while since I cried for him. I was just looking at pictures of him yesterday. They span about 25 years and he changed a lot in those years. Two things stayed the same in all of them…that mischievous look and his hands. I miss them both, I miss him….so very much. His hands never did get old did they? TEARS ARE ROLLING AS I READ THIS ANGEL, HE WAS SUCH A GOOD PERSON, AND HE LOVED YOU GIRLS SO MUCH,oops, didnt realize caps was on, we love and miss him so much, it is a rainy day here too, i just got back from the country where me and Art shared so much together, and i cried as i rode down the dirt rd, life is as it is, God ,in his glory will take us all away and we will be together again someday! Sorry you had such a sad day missing loved ones. Angel this is your ole Auntie Velta, Bob is missed by all of us and I feel a void in my heart as I think of him. growing up together we spent a lot of time together and were very close, we were company to one another as Mom did her daily chores. And as I look back at those years I know Bob went through some tough times, trying to protect everyone and be macho when in fact he was a scared little boy. At the time I didn’t think about it much, but as I reflect on those years out on the Briggs flat, I can now realize that Bob hurt alot then too. And knew many sorrows as a result of the circumstances , but he always did put on a brave front. and was brave to go into the Marine Corp. as we all know the Marines are not sissies thats for sure. Yes we will see him again. And he is no longer homeless. No, he’s no longer homeless. He’s got him a fine place I bet. Angel .. this is the most beautiful, thoughtprovoking post i have EVER read,, I really hesitated about responding since I felt like I might be intruding in your “family’s” replies. That was how personal it came across! 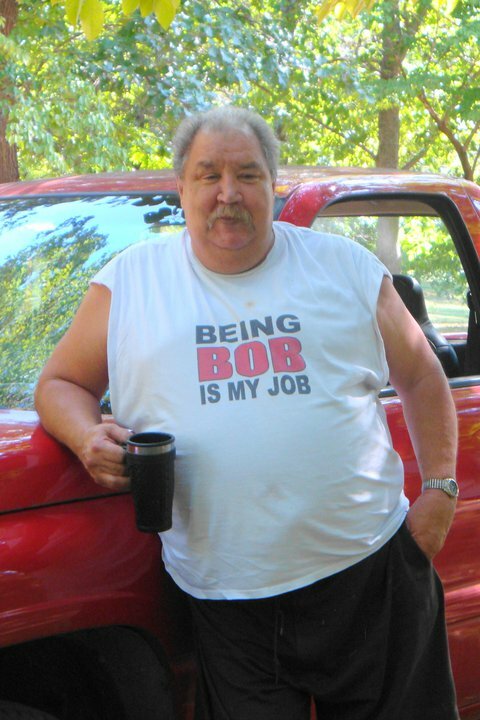 I have never kept it a secret that I loved reading your Saturday’s with Bob posts. I was enthralled with them from the very first one and waited with anticipation for the next “installment”. I must admit I suffered some “withdrawal” when they came to an end. I really can’t explain the intrigue I felt with his writings. But THIS, this is like looking into someone’s inner soul! Like I could actually “feel” his pain, fear and despair over losing his home and being alone. Boring? never!! I think your father was an ‘author extraordinnaire’ and I would love to be able to read more of his passages if you every feel you can share them again. We all take for granted that our parents love us but to actually SEE those words in his handwriting, amidst his other deepest thoughts, must be one of your greatest joys. Thank you for opening these heartfelt pages to “outsiders” like myself. It is like receiving a very special gift when you least expect it! God’s blessings on your family …Until next time . Donna H.
I felt withdrawals when they came to an end too. I’m glad they touched you so. He had no idea how much he was loved and would be floored to know people responded to his words like you, for instance. thanks.